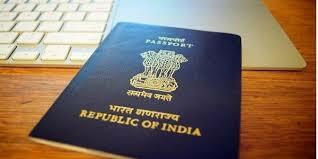 Indian Passport is necessarily required for International travel. So, in case a last-minute travel plan has come your way, or there's some emergency that needs you to fly soon, but you don't have a Passport, you need not worry. An official service called 'Tatkaal' Passport scheme can help you out. Here's all you need to know about Tatkaal Passport service. In your Passport application, choose 'Tatkaal' option under scheme type. A Fresh, 36-page Passport for applicants aged 15 years or less shall cost Rs. 3,000; for 15-18 year-old applicants as well as those aged 18 years or above, the fee is Rs. 3,500. On the other hand, a Fresh, 60-page Passport (with 10 years validity) for 15-18 year-old applicants as well for above 18-year-old applicants, shall cost Rs. 4,000 in total.